Here you can see the different ways to tie and wear scarves and when paired with a bright white shirt, this styling screams summer! You can also think outside the traditional methods and uses for a scarf by tying them around your waist, around the brim of a hat and even in your hair! 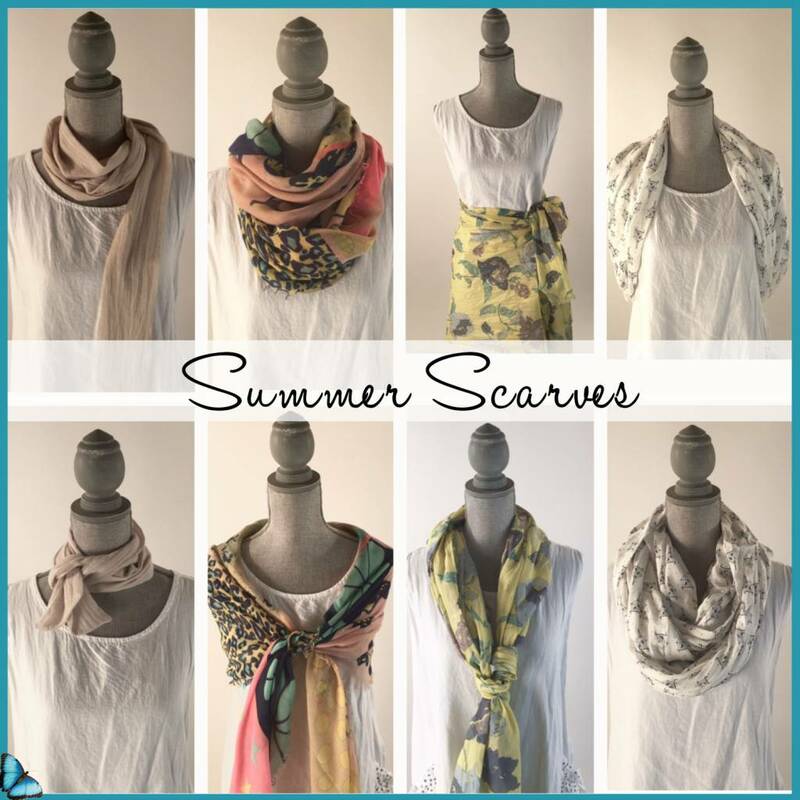 We hope you embrace scarves this summer and try out a different way to wear one. Selecting light and bright colours tied in less formal ways can make such a difference in your summer wardrobe and soon you will notice other people catching on to your summer scarf trend and trying it out themselves!